Merge onto NJ-18. Go south for 5.2 miles. Turn SLIGHT RIGHT onto ENGLISHTOWN RD/OLD BRIDGE ENGLISHTOWN RD. 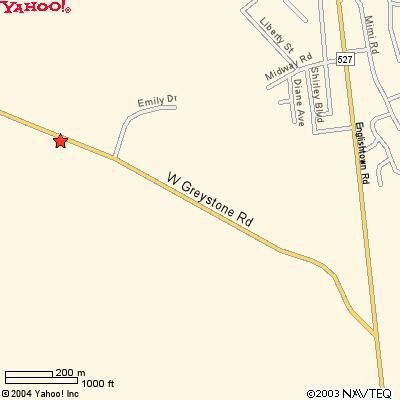 Turn SHARP RIGHT onto West GREYSTONE RD.